Plant based Hydration at your service! Since last spring, many shoppers may have noticed a bizarre new product moving in next to the coconut, chia, kombucha and aloe water. Its name? Maple water. What is this maple water? It is exactly what it sounds like … well, sort of. Yes, it’s naturally occurring sweet water that comes from maple trees. No, it’s not water with some maple syrup thrown in the mix…. Maple water is the liquid that flows out of the maple tree in order to replenish the tree as the winter season comes to a close. Maple trees produce watery sap, as opposed to the sticky, resin-like sap that immediately comes to mind. 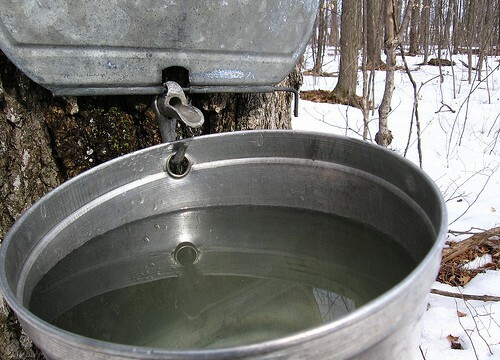 Maple sap is the raw ingredient in maple syrup, which, once boiled down, produces that famous pancake elixir. Amazing how our predecessors seemed to know what we now resourcefully “discover”. 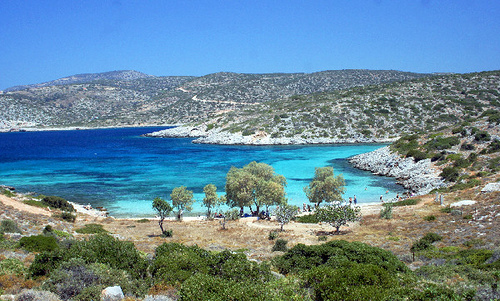 For example, Greece also has a new “wellness water” which is just now hitting the USA market. This is not really new, as this was prescribed from the father of medicine himself, Hippocrates, and has been used and proven for centuries.This plant based sparkling water is made with the tears of Mastiha (mastic) (mastika) – from the Mastic Tree on the beautiful island of Chios in Greece. 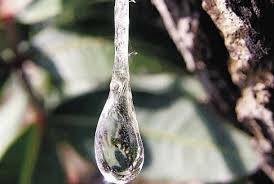 Mastic tears are from the island of Chios. Hippocrates [the “father” of Western medicine, c. 460–370 BC]: I have long observed and pointed out that mastic is good for myriad ailments. Remember that the oath “Do no harm” is attributed to me. Herodotus [the “father” of history, c. 484–425 BC]: We know that the chewing of mastic (mastication) has proven beneficial to the oral cavity and the stomach and that ancient Egyptians used it to spread over the sheets covering embalmed corpses in order to preserve them. 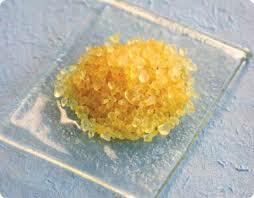 There are many modern studies which support digestive health, oral health, blood purifying and peptic ulcer elimination with the use of the resin of the Mastic Tree. Perfect timing for a modern spin on this, a spin which we can incorporate into our everyday lives, without the addition of sugar! 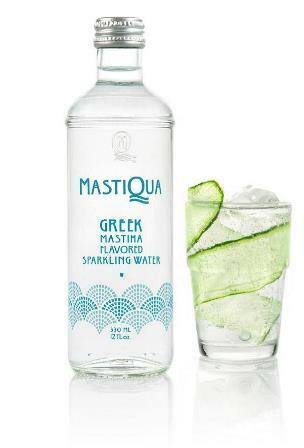 If sparkling water is your H20 of choice, you will more than likely favor Mastiqua. No sugar, All Natural, Greek Wellness Water. With the caramel, artificial laden, sugar doused cans of something that we have been drinking, it is nice to have a healthy alternative, or two or three. With the plant based hydration that is entering the market, I give this trend a 5 star OPA!!!!! With that being said, I like hot yoga, I like hot saunas, and I have been known to frequent the sauna for hours at a time. Recently I have been getting back into 90 minutes at 105F of hot yoga, I pay attention to what nourishment of liquid form that I consume. Coconut water and maple water both do seem to hydrate my electrolytes or whatever it is that I have depleted in my extensive heat sessions. Water alone, personally, does not replace my “well-being”. I am very excited to say that Mastiqua has been fulfilling my hydration needs and the best part is that I am not consuming any calories. The chemical makeup of the resin of the mastic tree can be found here. So what’s the hype around this new wave of hydration? I give ode to synergy! Furthermore, from my personal explorations and understandings, I suppose that plant based products are naturally better for you due to the active synergy between its phenol and mineral component’s as they originate from the plant in the natural state.The arrangement and collaboration of polyphenols in olive oils, for example, produce different medicinal properties targeted at differing ailments based on the arrangement of the polyphenols in that particular blueprint or harvest/tree(s). 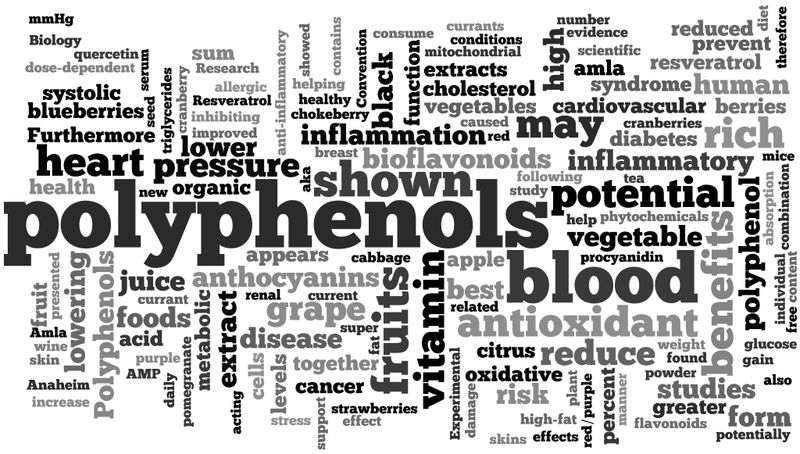 The oil may have over 500mg/Kg plant based phenols (antioxidants) but the ratios of the actual individual polyphenols (such as oleocanthol or Hydroxytyrosol) -the arrangement of these individual little marching phenol healers is what may actually make the difference in how our body responds… So, I propose that when foods are altered the synergy of the natural state is then nonexistent. Refining a fruit juice, such as olive oil, for example, will surely destroy the medicinal properties which nature has already made perfectly for us. Keeping the bonds and the plant phenols together, as mother nature intended, may cause them to work together to create many more powerful health benefits than when they are synthetically created and working alone. That is why I feel that it is better to drink Mastiqua or other naturally occurring plant hydration, rather than drinking something that has been created in a chemistry lab. Mother Nature is the best chemist. Visit us at www.vrisi36.com to discover all products which have been made by Mother Nature! Undisguised and Unadulterated. Just the way Mother intended! This entry was posted in Uncategorized and tagged maple water, mastic, mastiqua, plant based hydration. Bookmark the permalink.